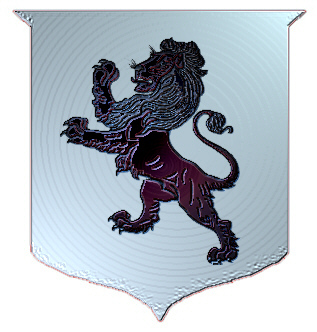 Coat of Arms: Silver with a black lion rampant . Crest: A black lion emerging from a crown. Motto Translated: Name of the lordship of the family. 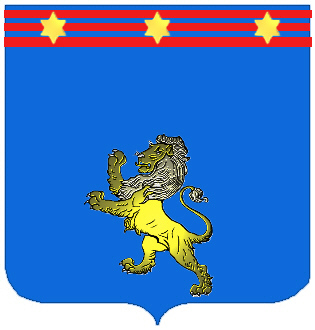 Coat of Arms: A blue shield with a gold lion, three red bars and three gold stars in chief.